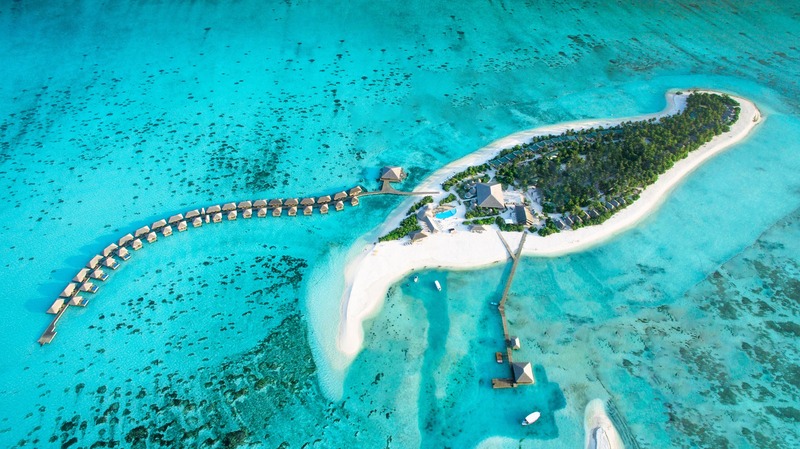 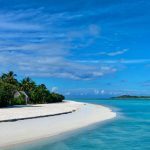 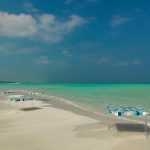 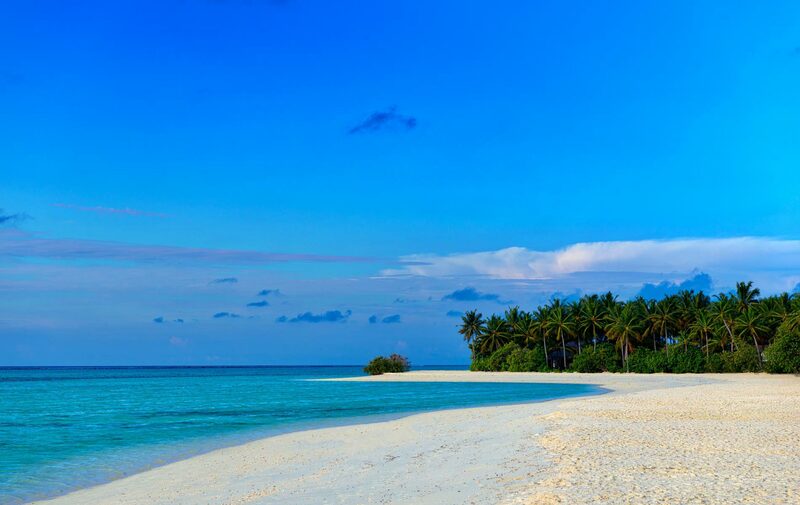 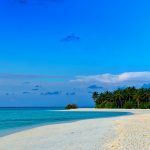 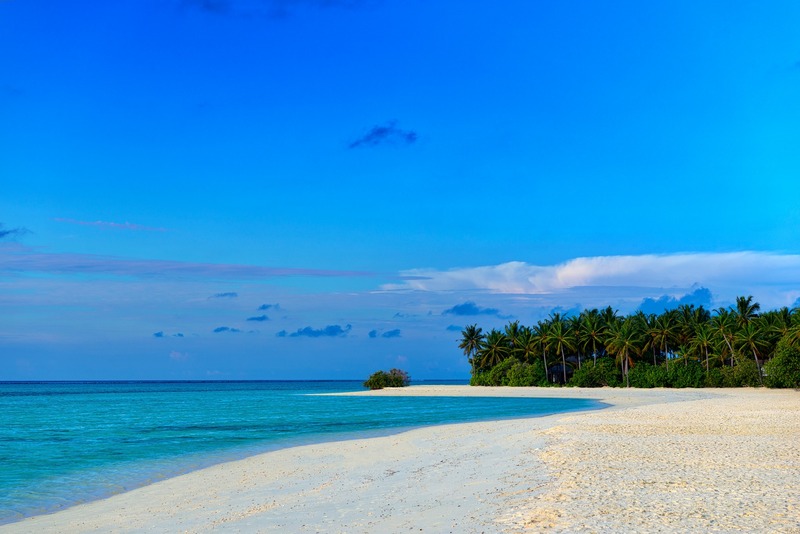 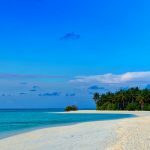 The stunning island of ‘Ookolhufinolhu’ (sandbank point) is located in Lhaviyani Atoll, a 30-minute seaplane ride from Male’ international airport. 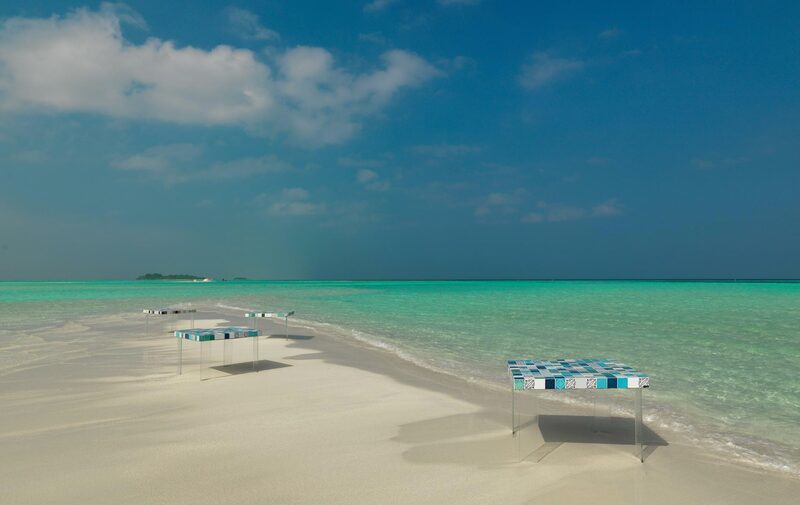 A large island, lagoon and long, sweeping sandbank perfect for weddings and special occasions. 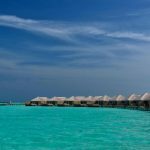 Majestic Manta Rays, dolphins, turtles and pristine coral reefs – the atoll has some of the best diving and snorkelling in the Maldives. 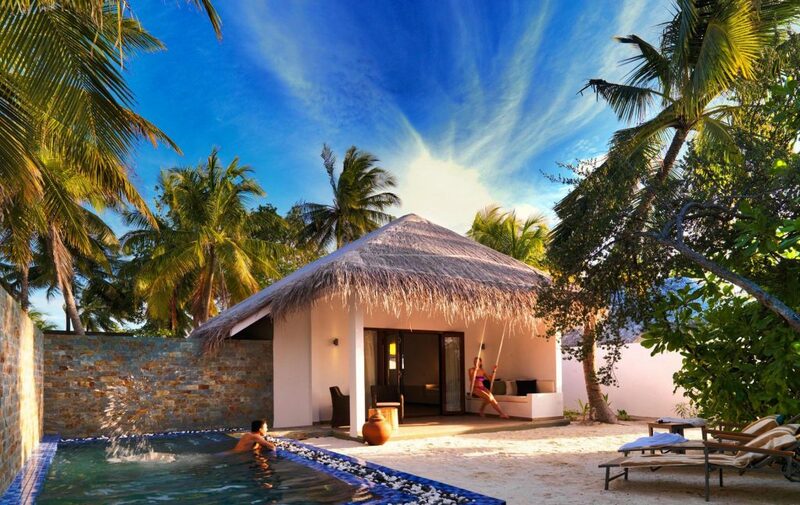 Lhaviyani enjoys light monsoons, making Cocoon a perfect all-year-round destination. 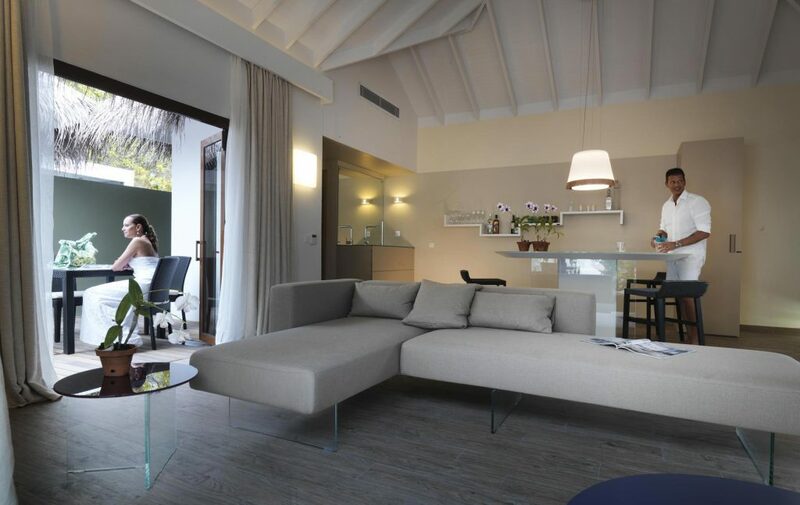 The beach villas exhibit stylish settings and elegant Italian design with direct access to the beach and all the modern comforts. 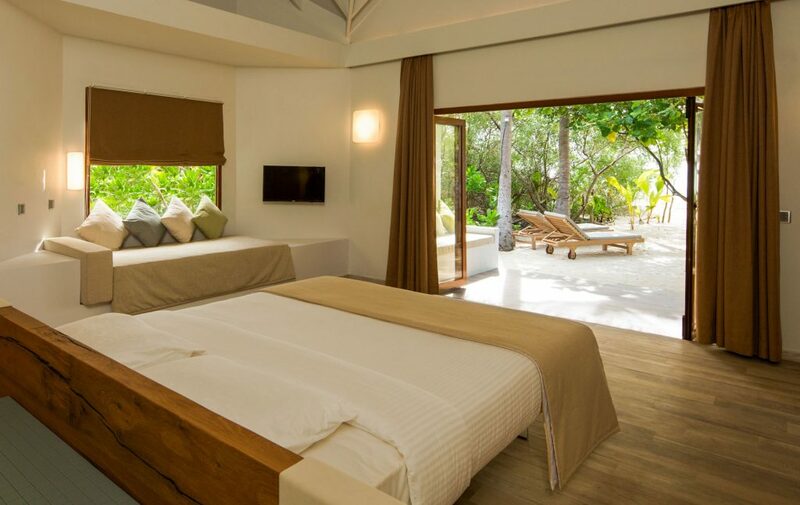 These beautiful beach villas have direct access to the beach. 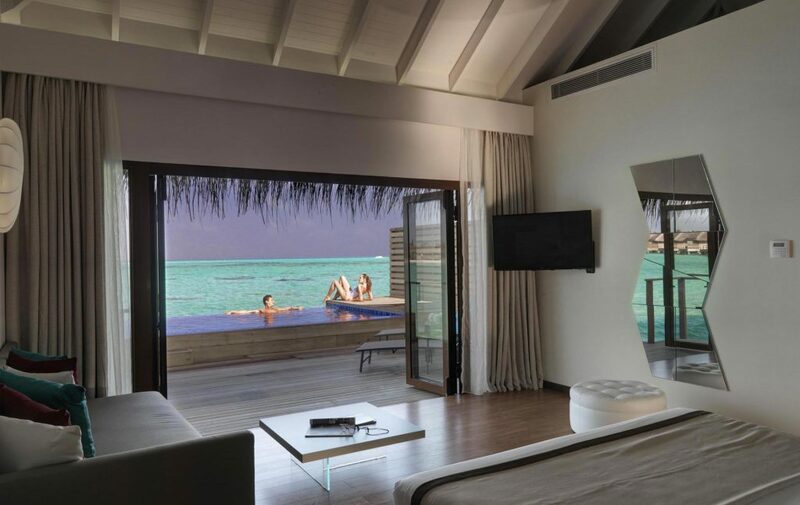 From every point in the room, guests are treated to views that maintain a constant visual relationship with the landscape. 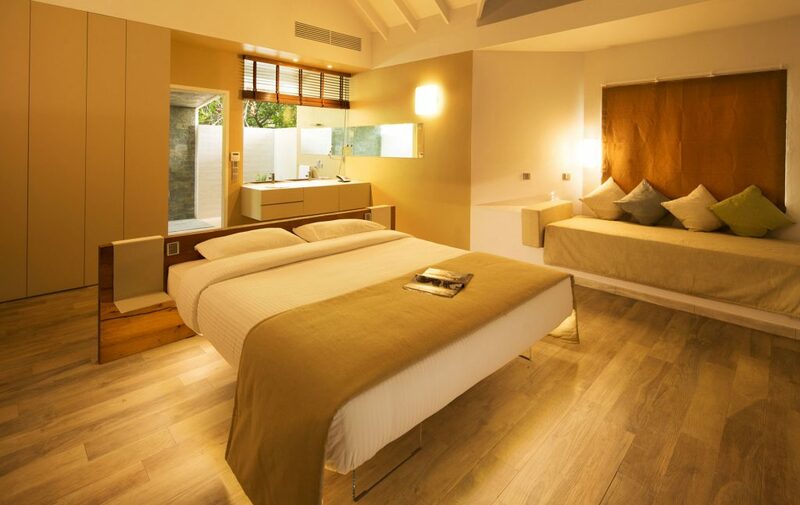 Materials and colours change in tune with the various sensations. 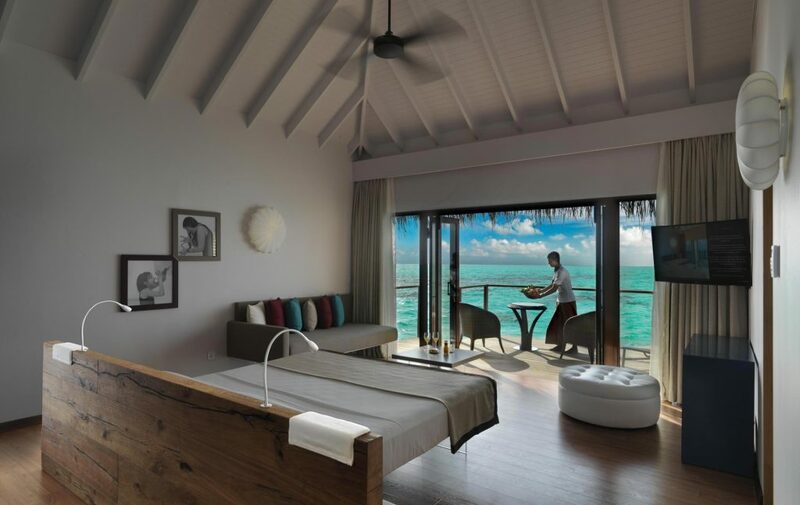 With a large window inside the room, you are immediately in the centre of vegetation and the ocean, to feel the peacefulness of nature. 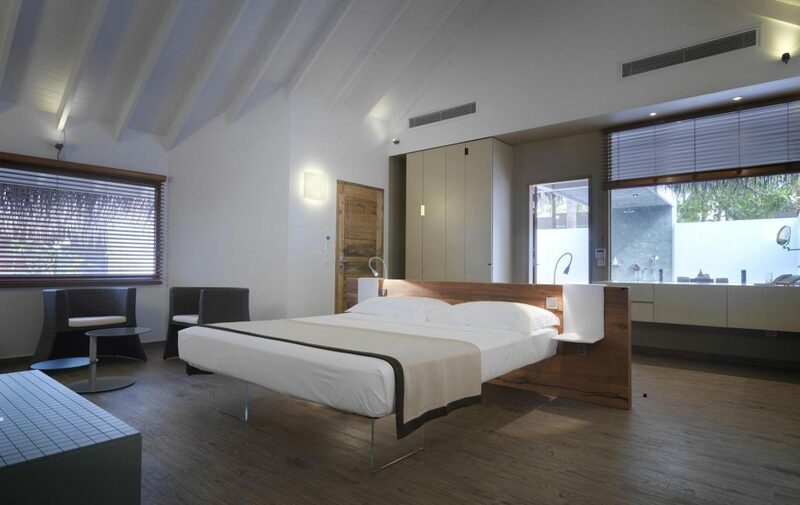 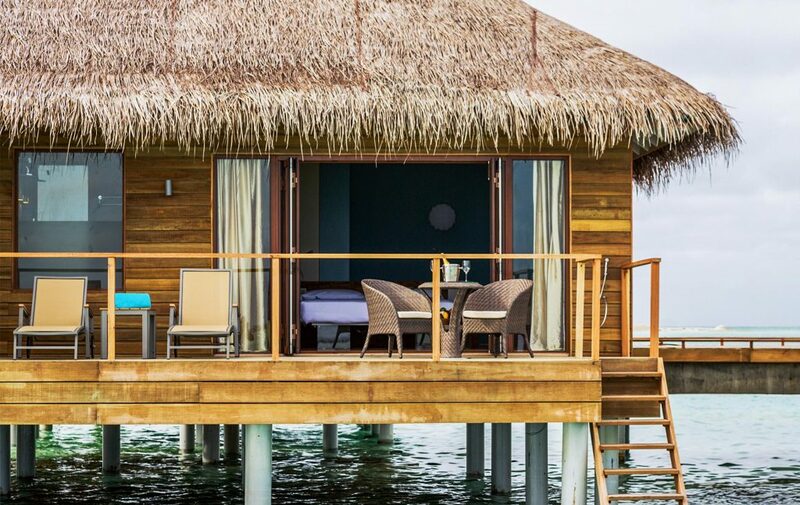 These villas also feature floating beds and rustic wood tables. 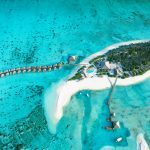 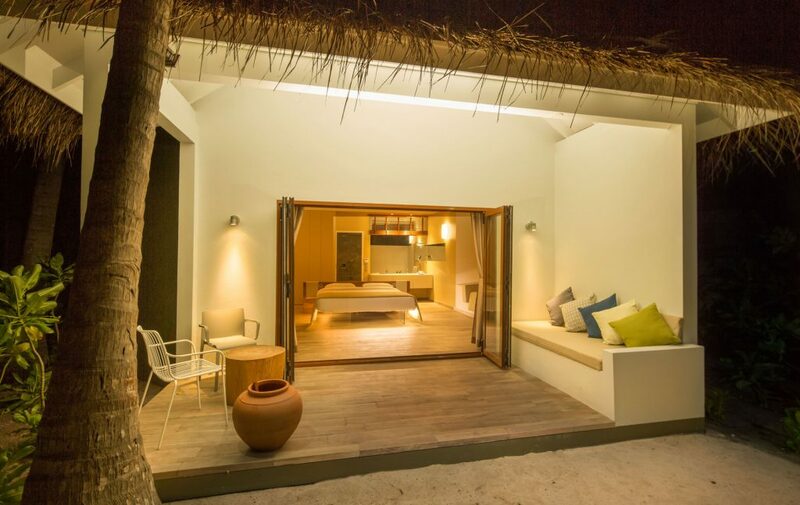 One of the most recent resorts in the Maldives, the exclusive Beach Suite with Pool offers elegant accommodation with private pool and stylish Italian design. 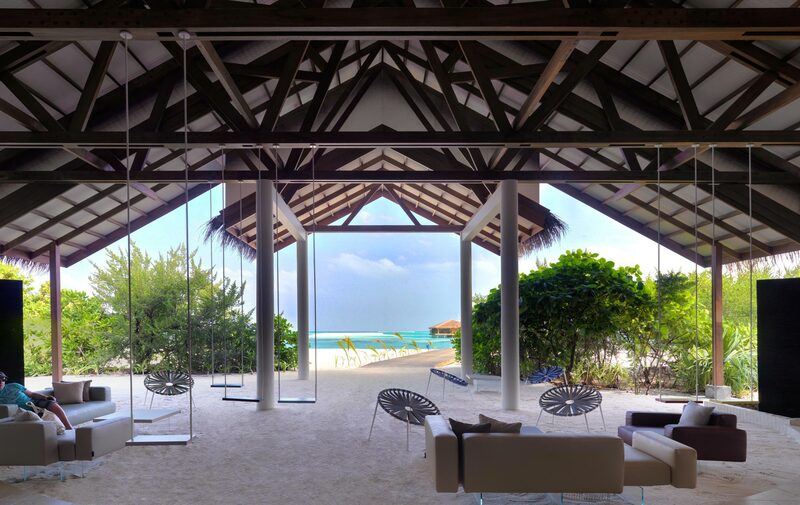 From every point in the room, guests are treated to views that maintain a constant visual relationship with the landscape. 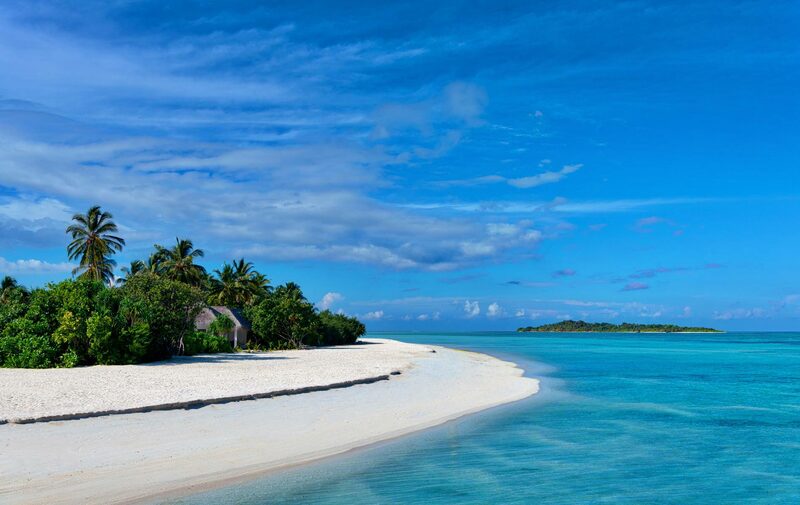 Materials and colours change in tune with the various oceanic sensations. 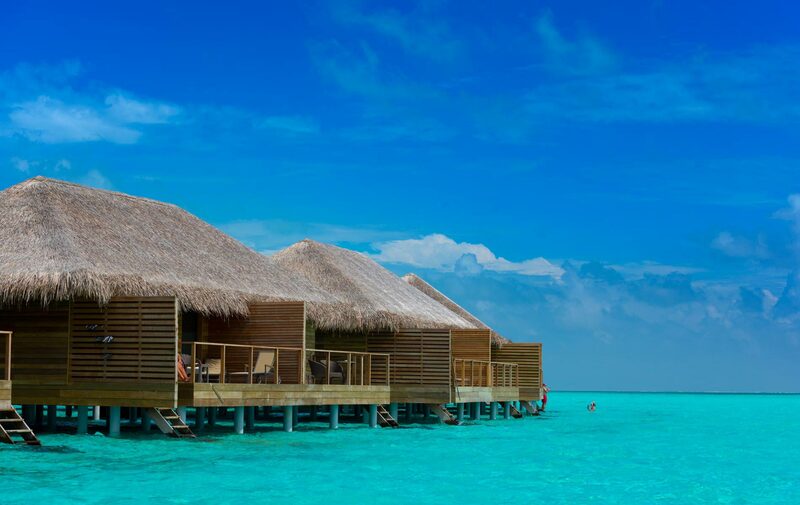 Enjoy the gorgeous Maldives sights in these beautiful beach suites. 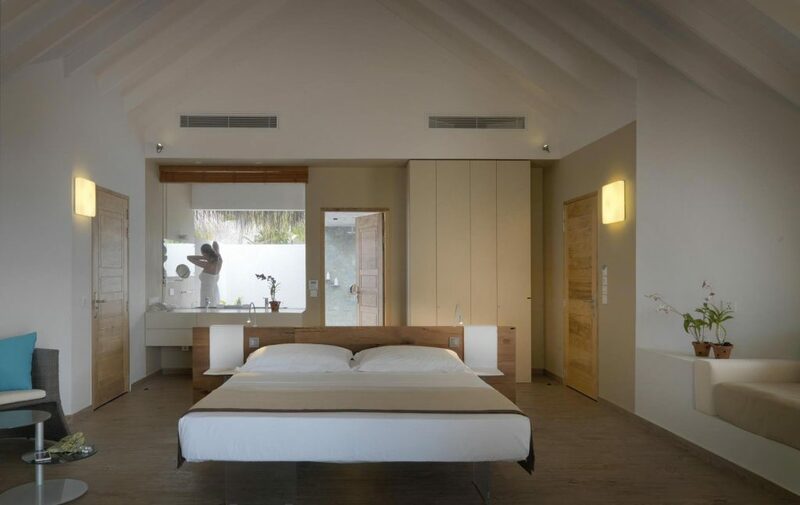 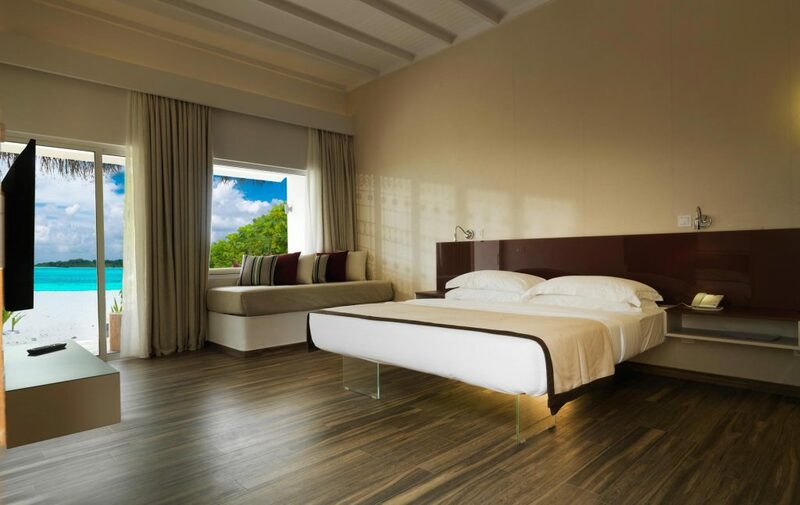 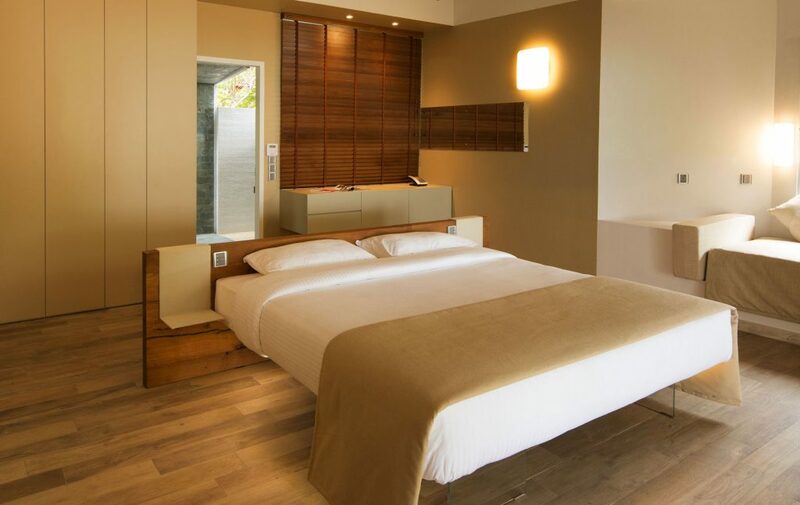 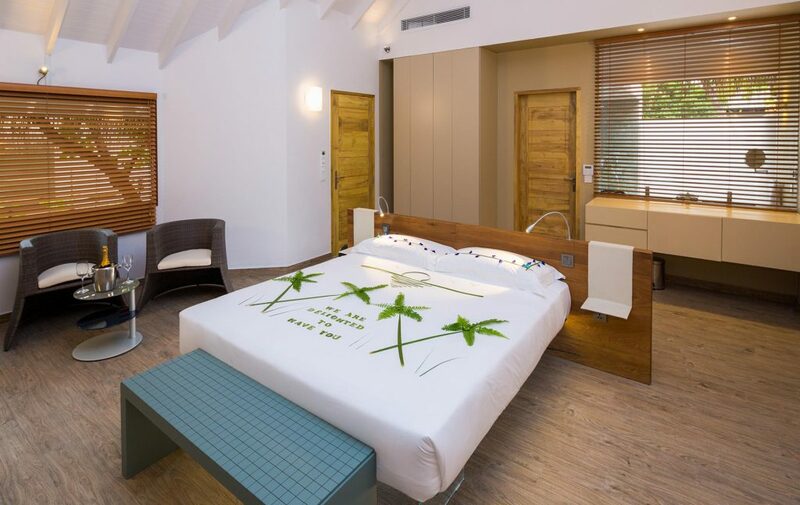 The uniqueness of the room stretches to even the headboards for all the beds which are made from 200-year-old wood to connect you with the natural history of this tropical paradise. 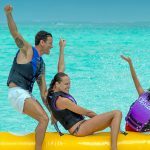 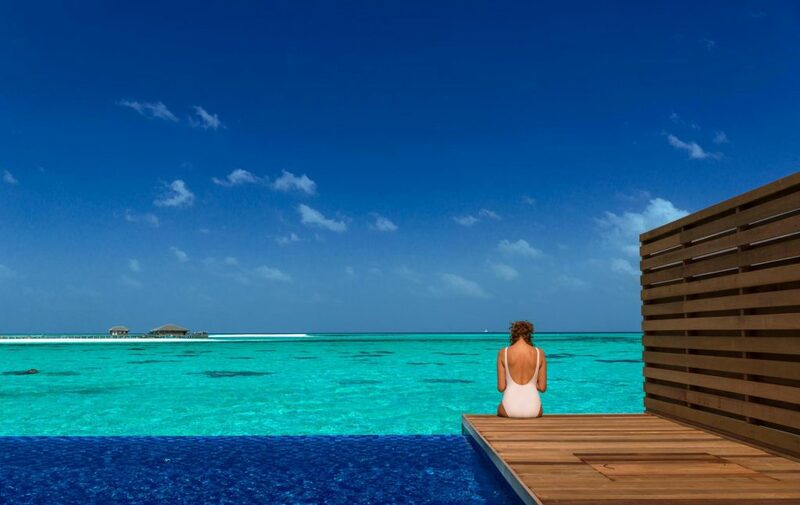 The mood for Cocoon Maldives is exclusivity. 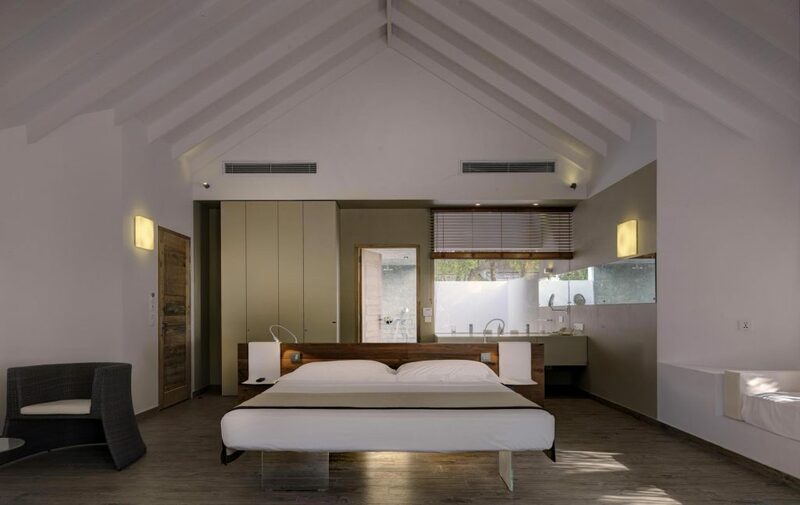 Every element, from the complementary art pieces, the carefully selected fabrics for the curtains and the greenery, makes this incredible space so tranquil. 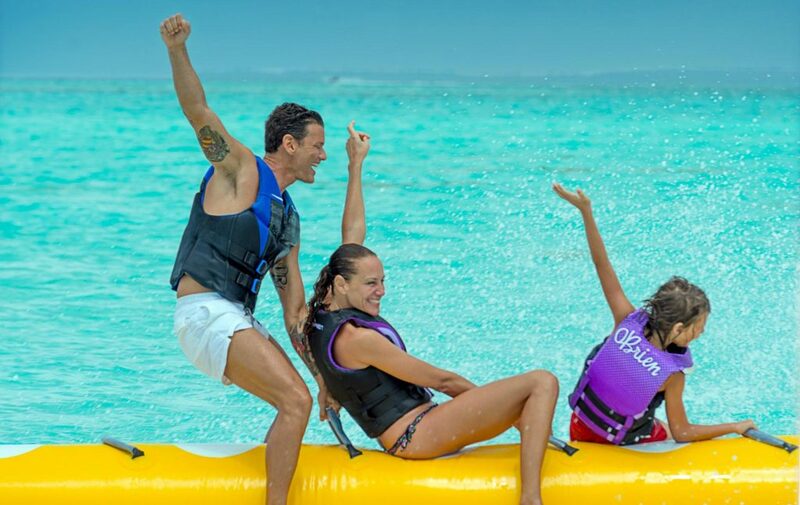 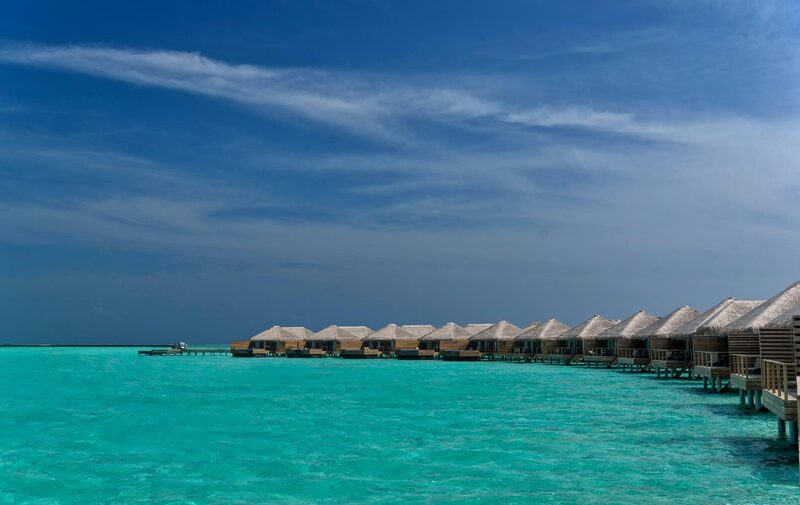 Sat on the azure water of the lagoon, enjoy the most beautiful waters of the Maldives. 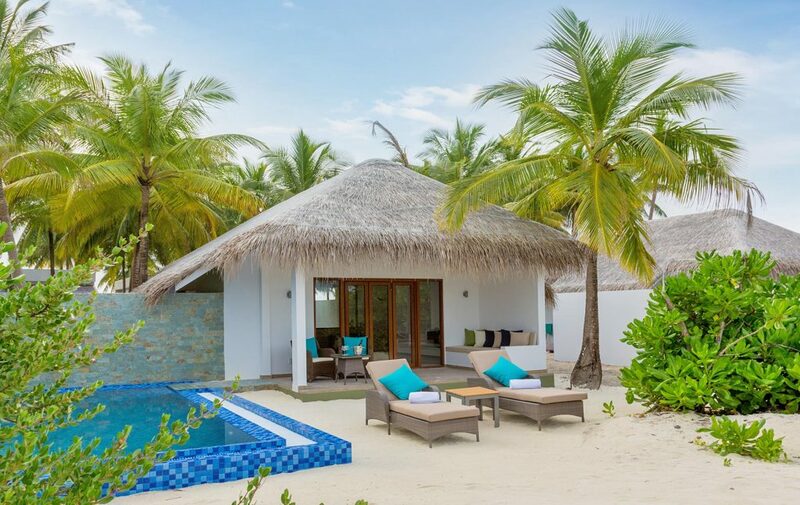 With direct access to the beach and all modern comforts, these villas are perfectly designed for the ultimate family experience. 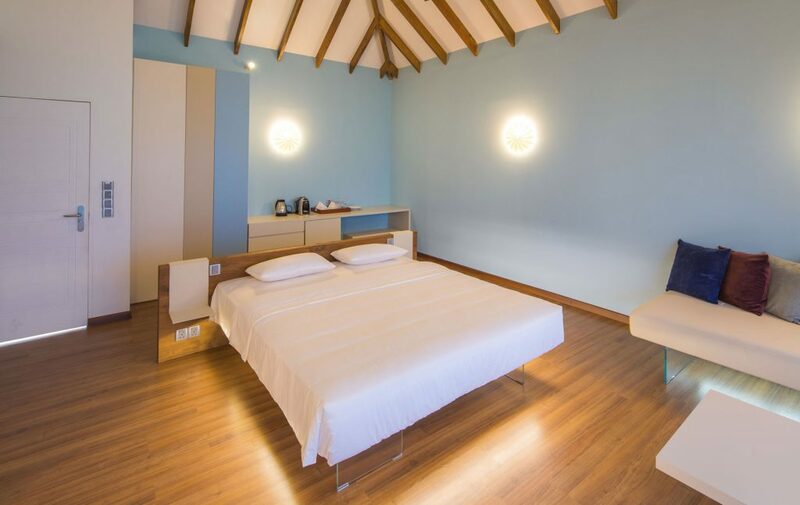 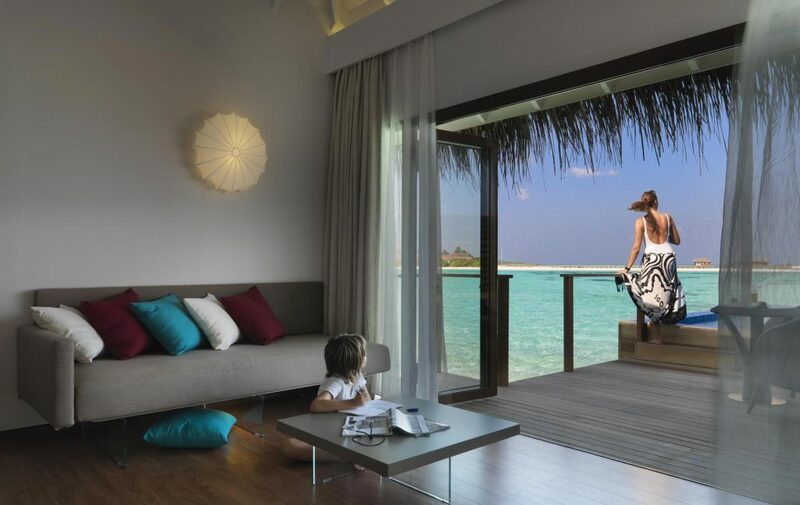 Bringing together tranquillity and adventure this villa is designed for your family. 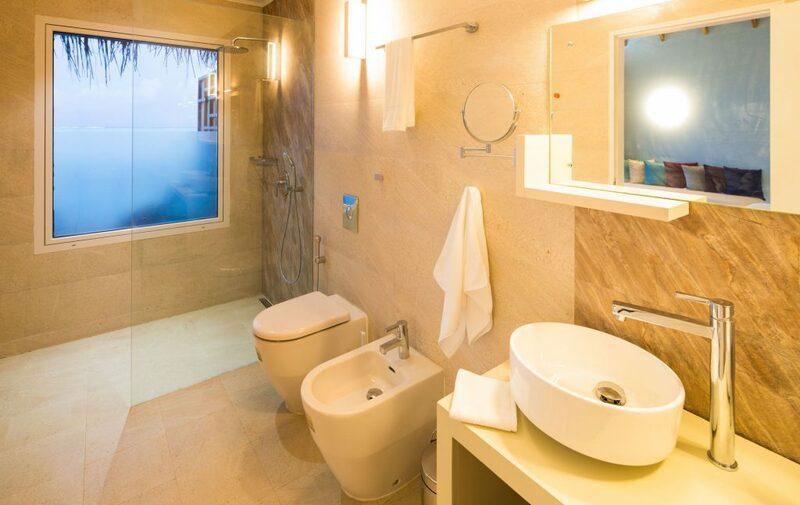 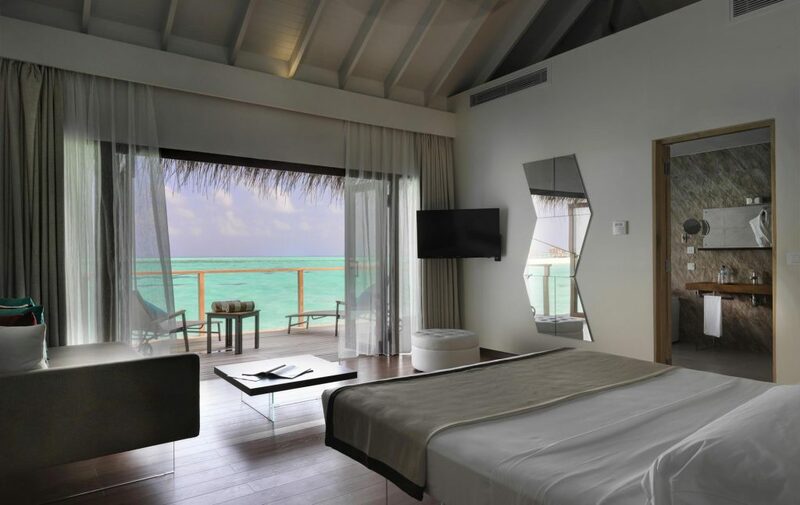 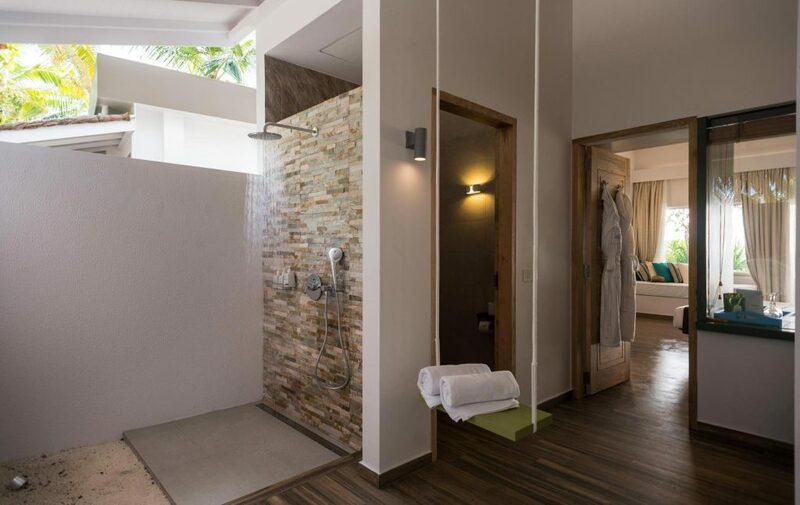 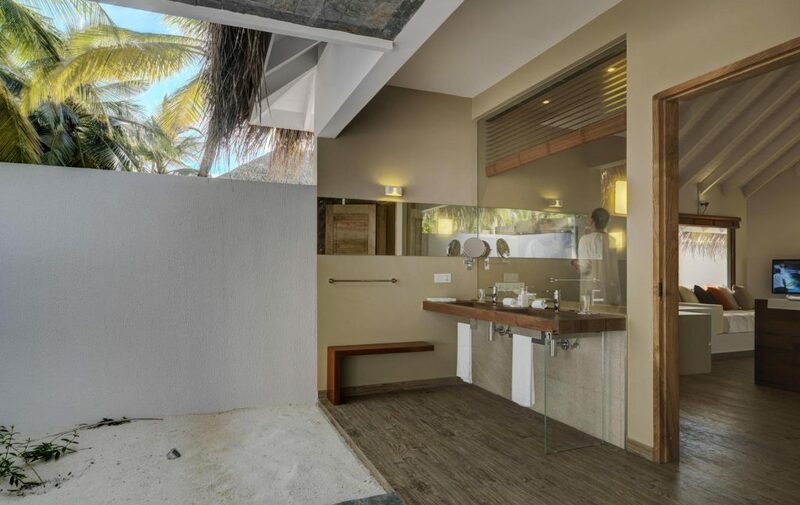 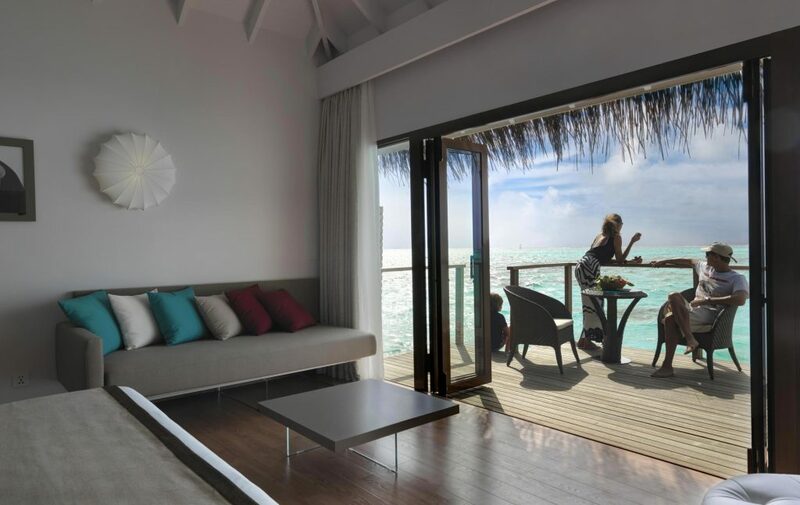 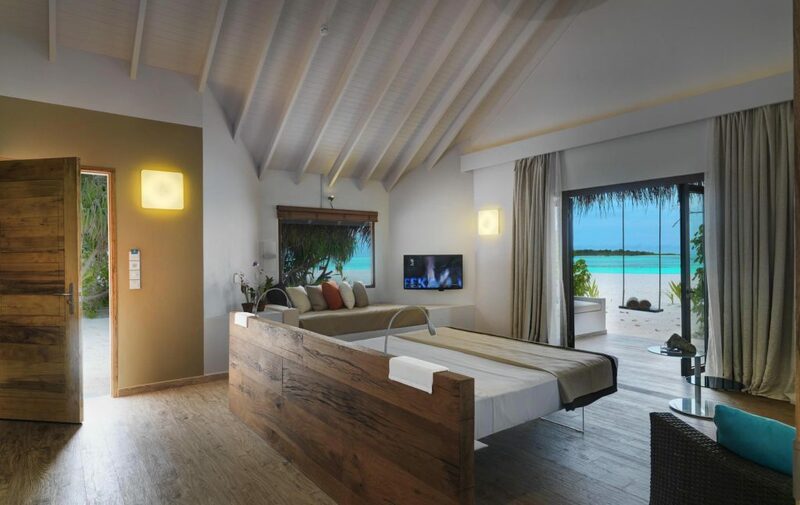 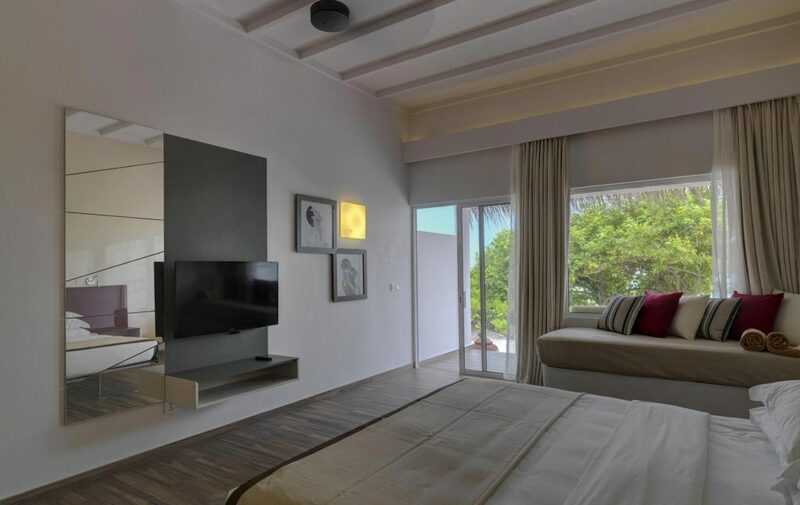 The lagoon suite features all the luxuries of the beautiful beach suites but is situated above the crystal waters of the Maldives, so you can step out your room into the lagoon. 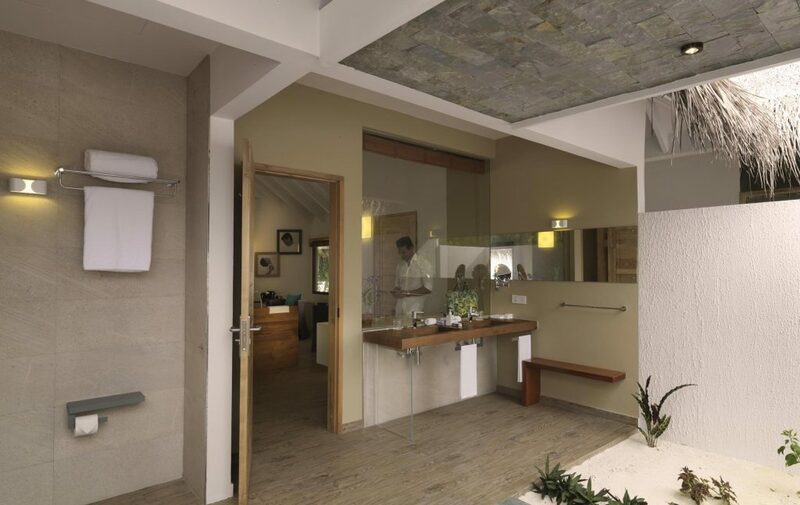 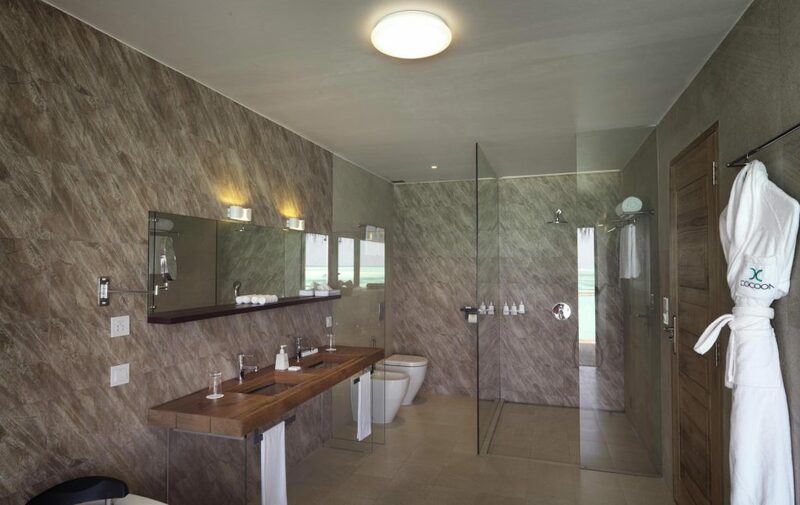 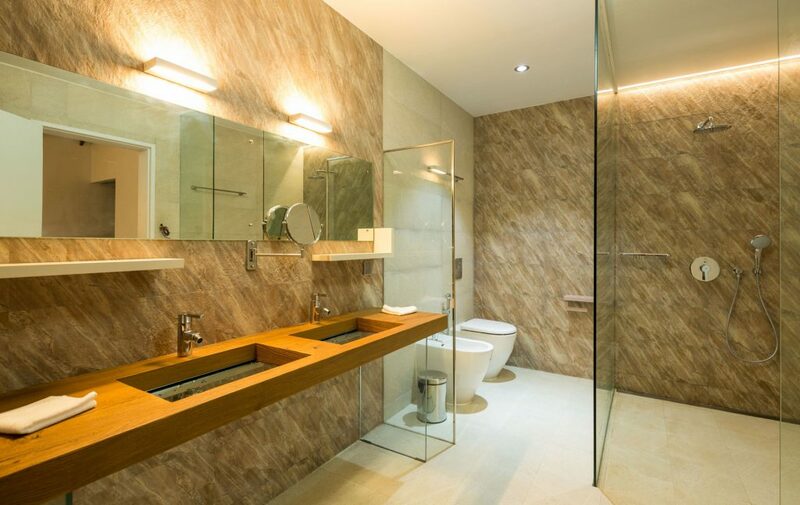 Offering privacy and tranquillity. 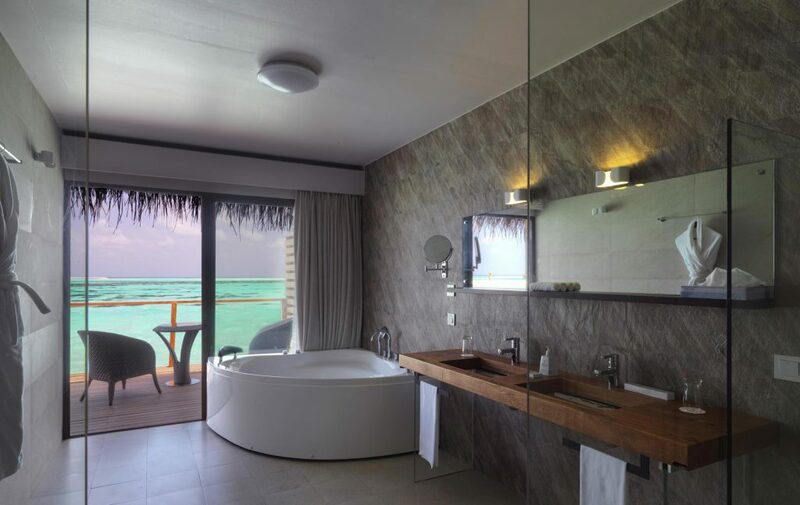 The lagoon pool suite features all the luxuries of the beautiful beach suites but is situated above the crystal waters of the Maldives, so you can step out your room into the lagoon. 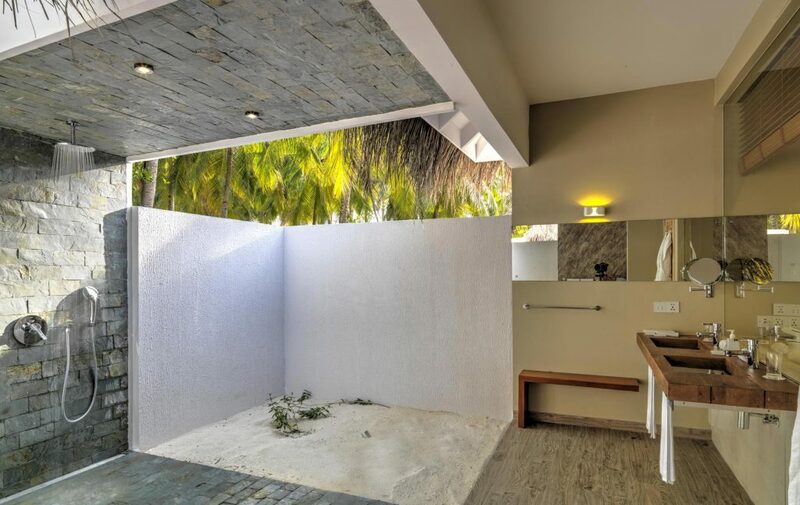 Offering privacy and tranquillity. 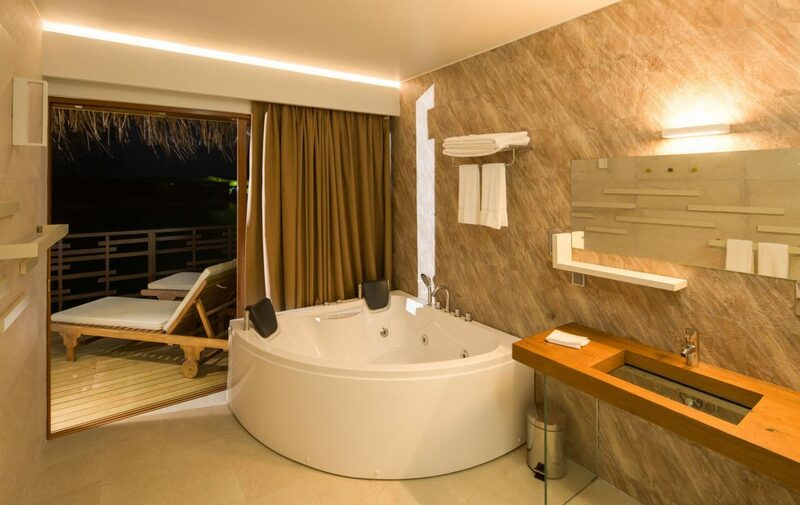 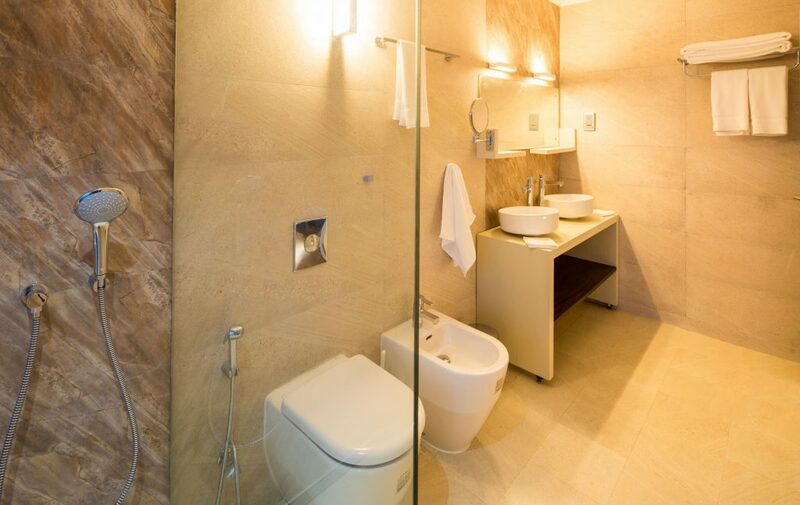 This suite also offers a stylish private pool for you to enjoy. 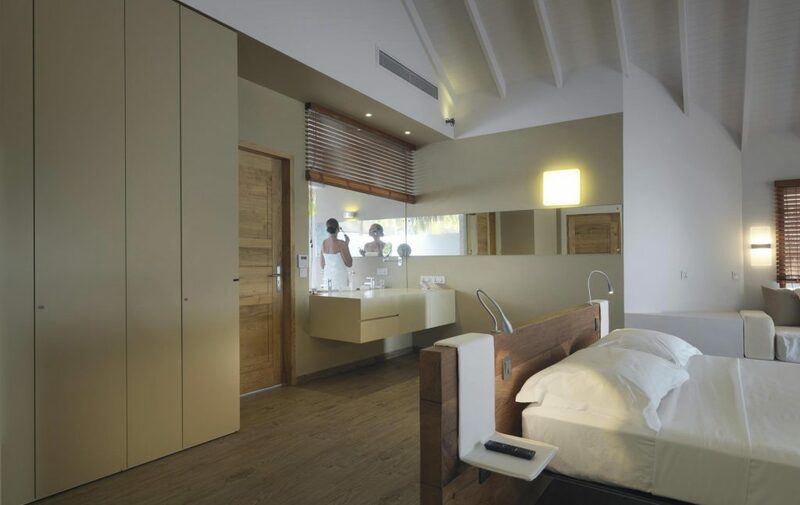 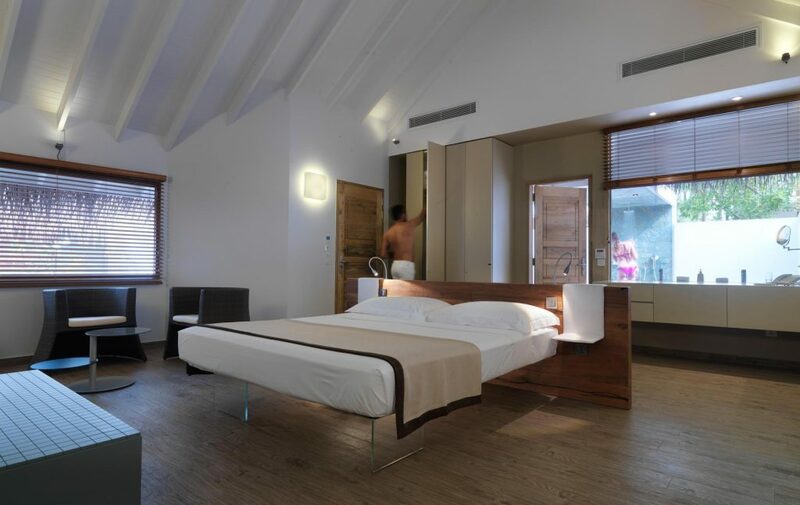 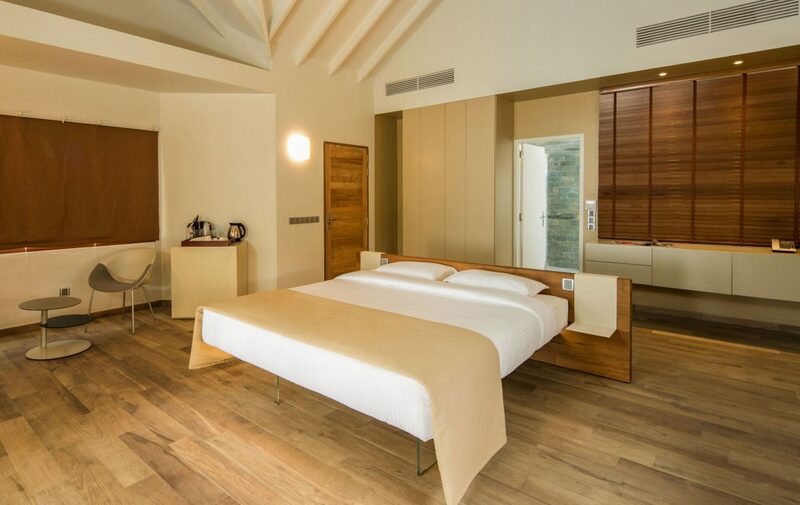 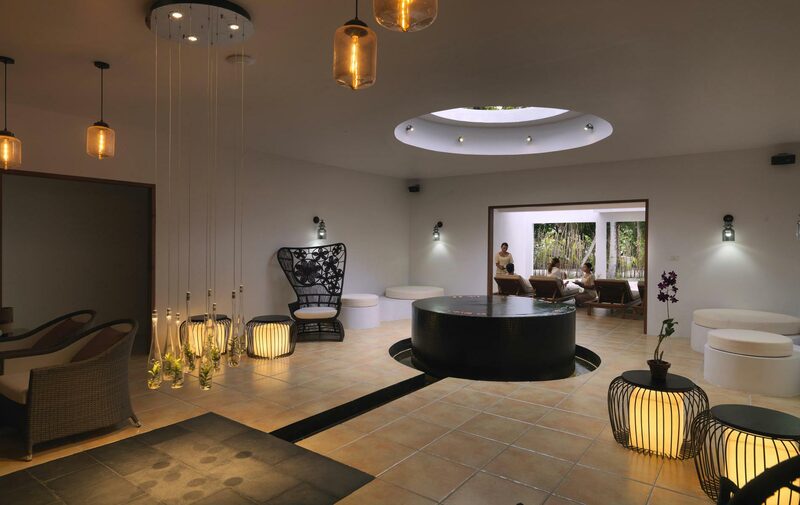 The 300sqm Cocoon Presidential Suite is the ultimate in luxury comfort and is the largest Guest Suite on the Island. 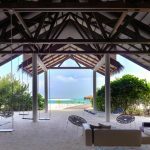 It comes with a magnificent, huge living room, two beautifully appointed bedrooms, an outdoor dining area and a private plunge pool. 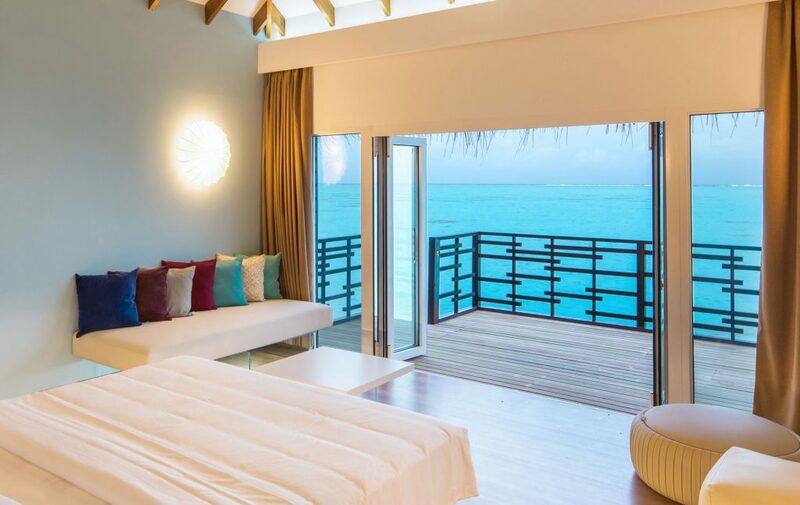 Its stunning beachfront setting affords a jaw-dropping view of the beautiful lagoon. 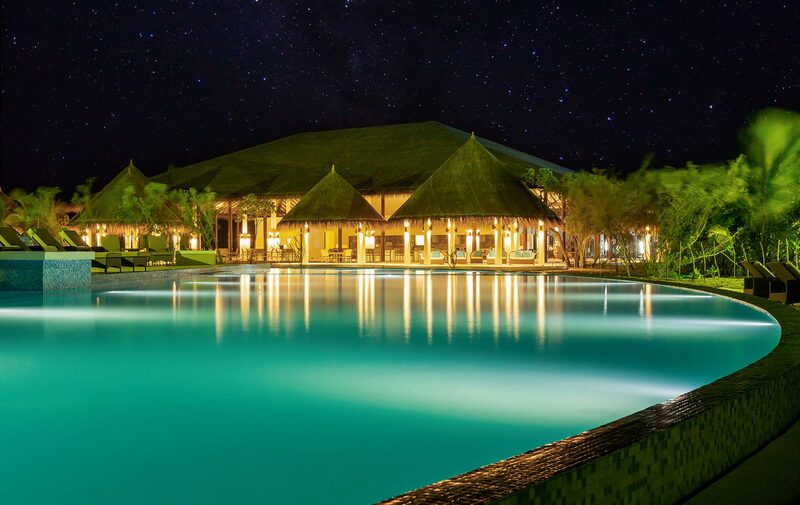 This is the main restaurant where you can enjoy A la Carte dining under candlelight, the moon and the stars. 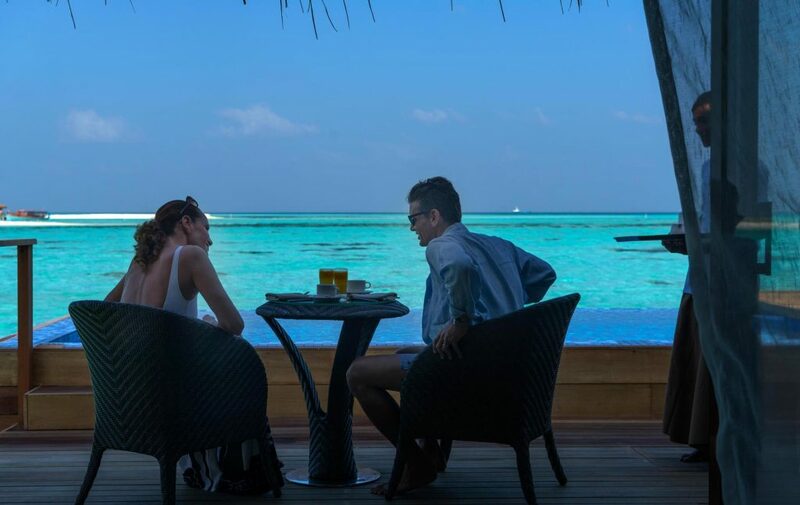 For dining on the beach, look no further than Palm square, where you can enjoy seafood and beef dishes at their finest. 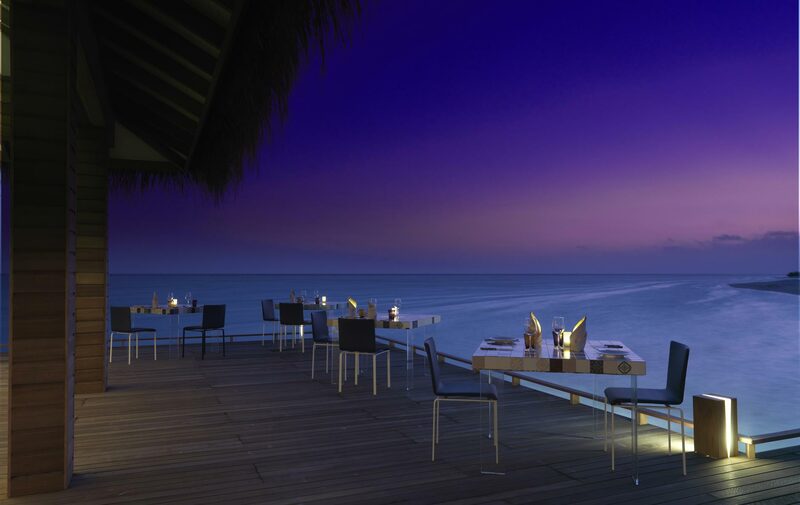 With a selection of cuisines, this is he resort buffet restaurant open for breakfast, lunch and dinner. 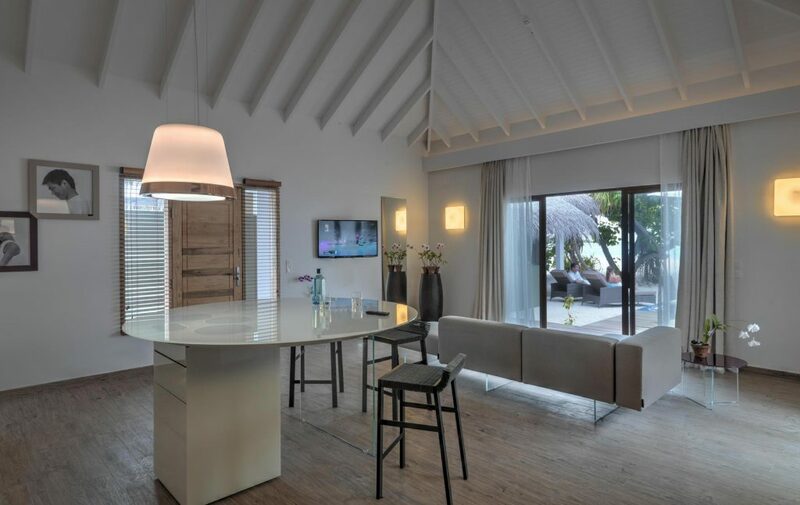 The Kurumba Bar offers daily refreshments and beverages. 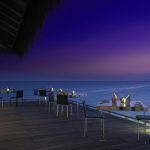 For Maldivian cocktails and other refreshing beverages, look no further than Laobi Laobi. 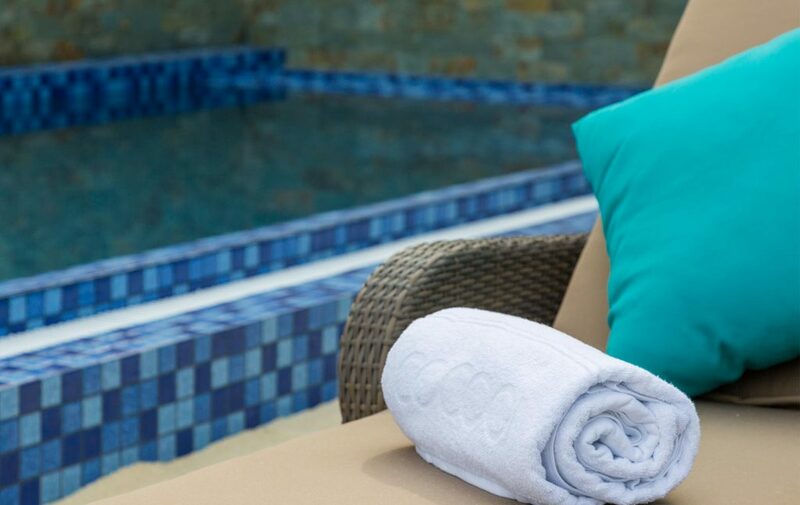 As Cocoon’s pool-side bar and a convivial meeting spot, Loabi Loabi hosts a live DJ every evening with pool parties. 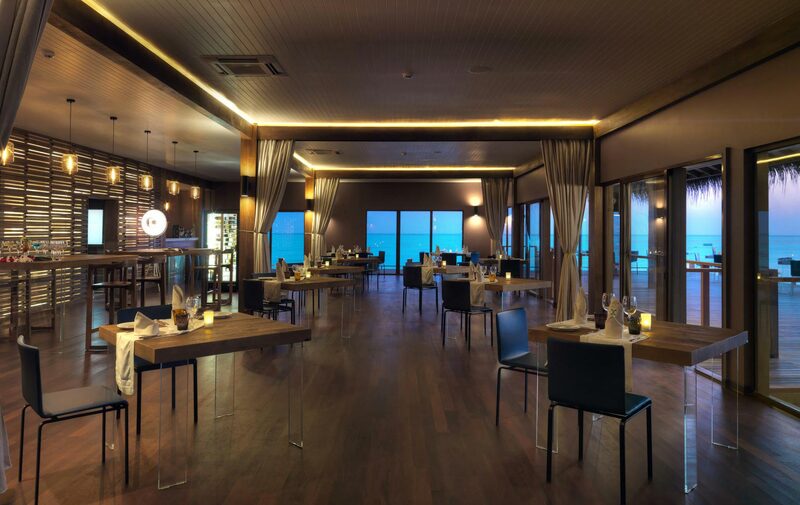 Meals are served at the main restaurant (Octopus Restaurant) to the guests booked in any type of meal plans. 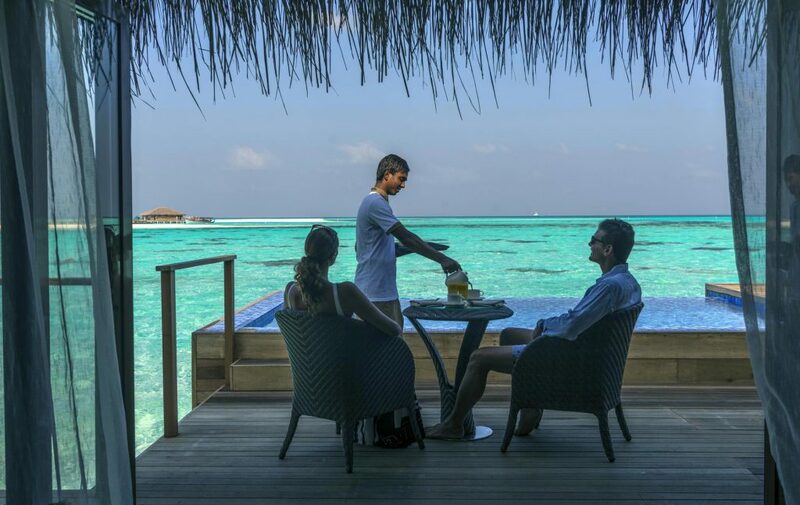 Breakfast, Lunch, and Dinner with meal times drinks (Lunch & Dinner Time), which includes Water, Soft Drinks, House Wine, Tap Beer, Tea & Coffee. 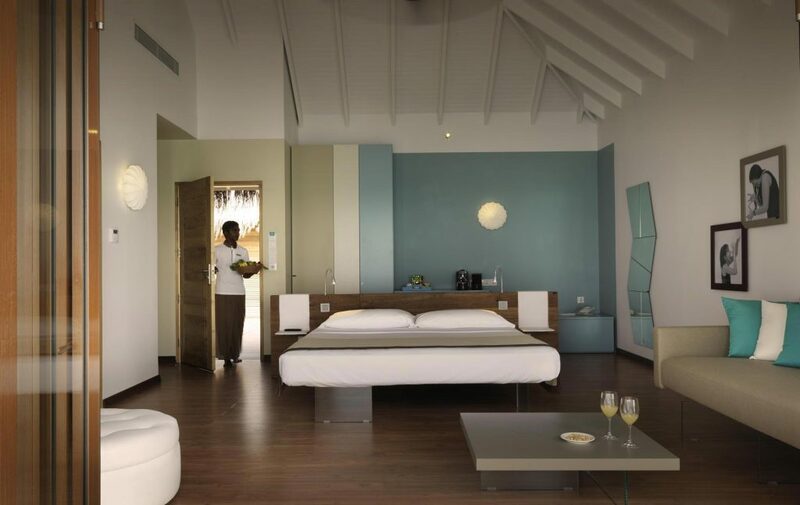 Mini bar – soft drinks and Water (replenished once daily). 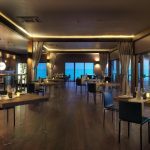 Guests on All Inclusive basis will receive 20% discount on their selected meals if they wish to eat in the Manta Restaurant (for a fine dining experience). 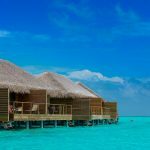 All the below benefits are entitled for Honeymooners by providing a valid Marriage Certificate of maximum 6 months. 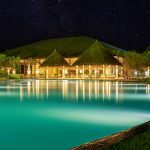 A Chocolate Platter, a bottle of wine a candlelight dinner at Manta Over-Water Restaurant and a turndown service to the villa during the stay once during the stay.